Your Mr.Bulletfeeder is supplied with a newly designed and improved powder funnel for Dillon. 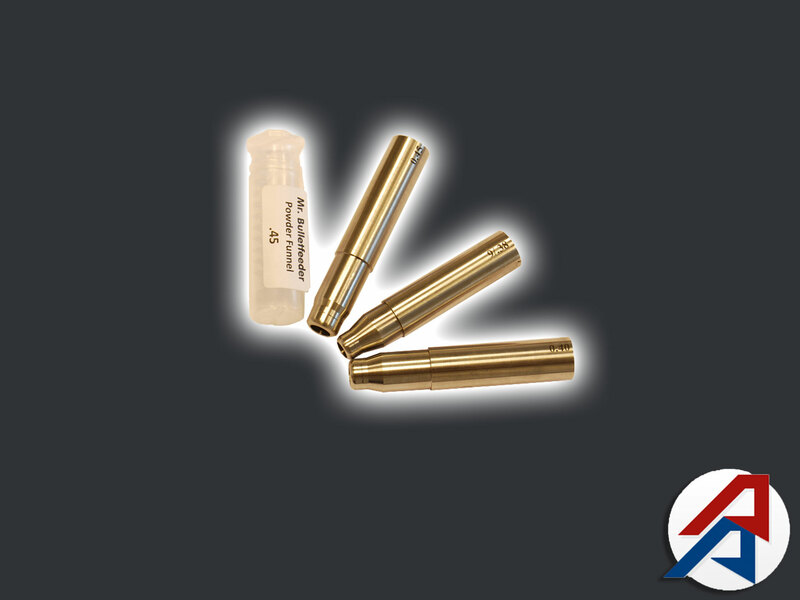 The powder funnel is a very important component of a bullet feeder of any kind, as it prepares the brass correctly so that the bullet can be seated in the case, and not tip over as you index the shell plate. To achieve this, we have redesigned the powder funnel to allow for just the right amount of expansion, without over flaring or stressing your brass. Please note: One powder funnel in the caliber of your choice is already included with your Mr.Bulletfeeder by Double-Alpha (Hornady powder funnels are also available here). These, so you do not need to buy an additional one, unless you want to use it on a second powder dropper. The expanding powder funnel supplied is for the Dillon reloading machines only. Not compatible with other brands. To use with the LnL press, you will need to purchase their expanding powder funnel separately.